Microdermabrasion is an effective method of skin exfoliation and an ideal way to remove dead skin cells from the epidermis of your skin. One of the most popular skincare treatments available, our DermaSweep microdermabrasion services are not only valuable for the treatment of problematic skin, but the preservation of a healthy complexion. As one of the most trusted centres for microdermabrasion in Melbourne, Avenue Advanced Skin Care can answer any questions you might have about microdermabrasion. Microdermabrasion is a quick, effective, and non-invasive skincare treatment. A micro-massage gently removes the outermost layer of dead skin cells from your epidermis, leaving you with rejuvenated, beautiful-looking skin. The procedure is pain-free and can be performed on your lunch break, giving you a chance to repair the superficial skin damage caused by day-to-day life, from sun exposure to acne and scarring. Microdermabrasion not only addresses problematic skin conditions, such as acne, congested pores, and dehydrated skin, microdermabrasion can also be used to preserve a healthy complexion and keep skin looking youthful. Patients struggling with these conditions and more have been able to achieve the healthy-looking skin they want using microdermabrasion. DermaSweep is microdermabrasion taken to the next level. 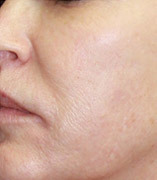 The DermaSweep micro-resurfacing technique involves special, patent-pending bristle tips lifting away the top layer of skin and increasing micro-circulation to enhance lymphatic drainage, oxygenation, and the delivery of key skin nutrients. DermaSweep leaves the skin feeling smoother, while the vacuum action of the DermaSweep wand stimulates blood flow and cleans the pores. The result is increased collagen formation, which firms and tones the epidermis. 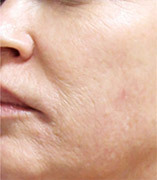 DermaSweep also provides patients with skin care treatment tailored for their particular needs. Following exfoliation, each patient is given specific skin infusions to further treat and improve the skin. DermaSweep SkinFusions contain cutting-edge ingredients with a view to maximising the results of DermaSweep microdermabrasion. Why Is DermaSweep Different to Traditional Microdermabrasion? Just like traditional crystal and diamond microdermabrasion treatment, DermaSweep resurfaces the top most layer of dry, dead skin from the epidermis, leaving the skin feeling soft and smooth. 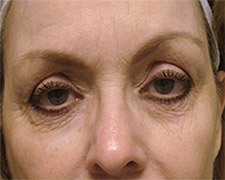 However, unlike traditional microdermabrasion, DermaSweep doesn’t stop there. After the mechanical exfoliation process, an enzyme or peel treatment is administered to provide the skin with a boost of anti-ageing anti-oxidants. To finish off, a tailored infusion is applied to the skin to target your specific skin concerns – with ingredients such as Growth Factors, Peptides, Vitamin C, TCA, and Hyaluronic Acid. Microdermabrasion has become a popular skincare treatment because it offers a range of benefits without the need for any painful, invasive procedures. Patients undertaking microdermabrasion treatments can expect to see clear skin free of dead skin cells, as well as a reduction in pore size, and patients struggling with acne will see a considerable reduction in symptoms thanks to microdermabrasion’s deep exfoliation. Microdermabrasion is fast and can be done in under hour, without any time off work or activities required. Microdermabrasion also carries a very low risk of side-effects or complications, so you can just enjoy your beautiful, smooth skin. There’s even some unexpected surprise benefits to microdermabrasion. For example, because the procedure allows for such deep exfoliation of the skin, patients who’ve just completed a microdermabrasion treatment will find they can better apply make-up and at-home tanning products. Microdermabrasion is not painful. At Avenue Advanced Skin Care, your comfort and safety is of the utmost importance to us and our DermaSweep™ microdermabrasion treatments are completely safe, non-invasive, and involve virtually no discomfort. Our team of fully accredited nurses and dermal therapists have all been meticulously trained in medical skin care and have more than 10 years’ experience in delivering proven results, so you know you’re always in the safest hands. As a result of the exfoliation and increased circulation, your skin may appear pink for around 30 minutes following treatment and it may feel tighter, but there will not be any pain or discomfort due to the non-invasive nature of the procedure. Microdermabrasion can benefit those struggling with a myriad of skin conditions. 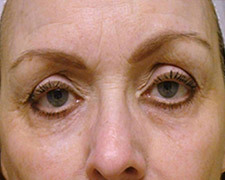 However, there are certain conditions for which microdermabrasion is not advisable. Patients with thin, dry, fragile, or sensitive skin would not be suitable for this particular treatment. Avenue Advanced Skin Care is committed to the safety and comfort of all our patients and it’s important to inform your microdermabrasionist about your medical history during your initial consultation. Your skin will look refreshed and clear after just one treatment. The cell renewal cycle of healthy skin takes approximately 4 weeks. As such, we recommend that you come in for treatments every 4-6 weeks in order to get the best results. You will notice your skin glowing immediately after your treatment. 1 month following 3rd treatment. Results may vary from patient to patient. 1 month following 6th treatment. Results may vary from patient to patient. 6 weeks following 4th treatment. Results may vary from patient to patient. How Do I Take Care of My Skin Following Microdermabrasion Treatment? While microdermabrasion is completely safe and non-invasive, in order to maximise the effectiveness of the treatments, it is recommended that you avoid certain activities. Avoid excess sun exposure/solariums and wear a high-quality sunscreen every day. Following these suggestions will ensure your microdermabrasion treatments yield the results you want. Where Can I Get Microdermabrasion in Melbourne? At Avenue Advanced Skin Care, we’re your partners and experts in microdermabrasion. Our Melbourne clinic offers world-class treatments, an unparalleled standard of care, and the supervision of respected Melbourne plastic surgeon Mr Allan Kalus. Our mission is simple: to deliver the most sophisticated skincare treatments possible and get results for our patients. Our state-of-the-art clinic is located just above Avenue Plastic Surgery – one of Melbourne’s premier centres for aesthetic plastic surgery. Get in touch with our friendly staff and book your microdermabrasion consultation today, online or call 03 9521 5533.